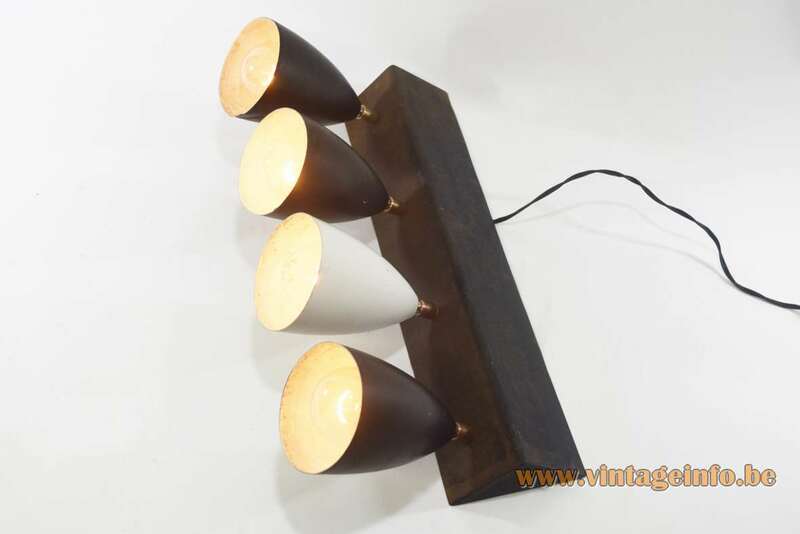 Materials: Black painted iron base. 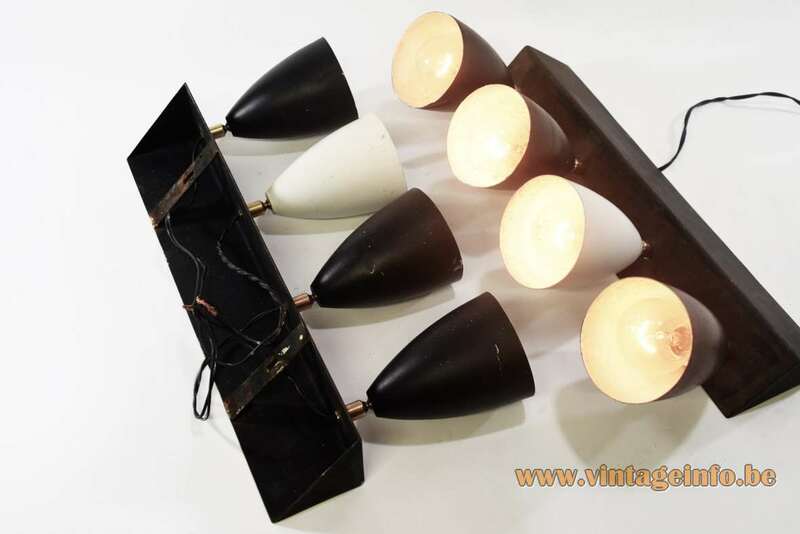 4 aluminium lampshades; 3 black painted lampshades and 1 white. 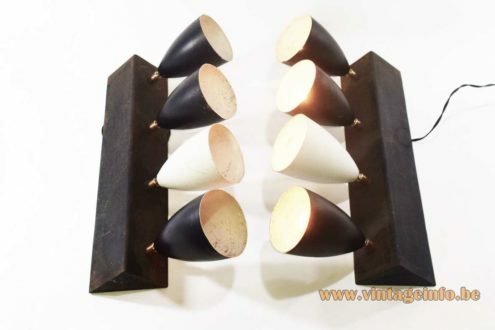 Brass and porcelain sockets. 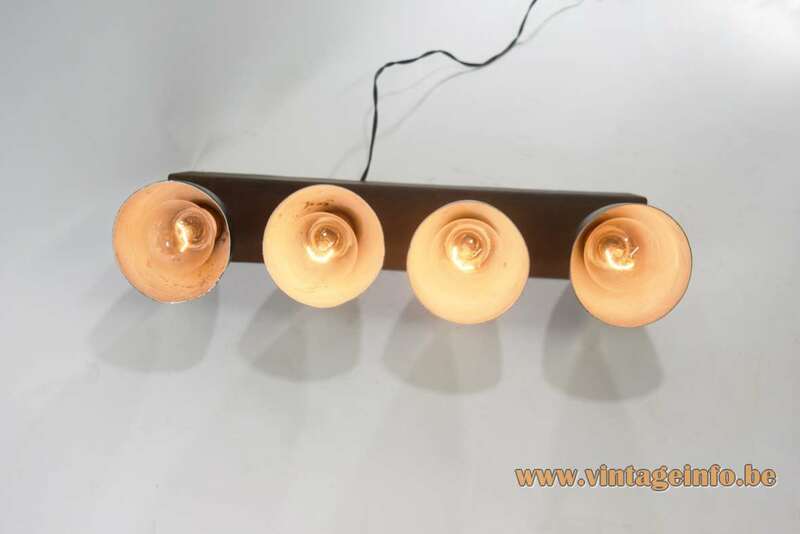 Electricity: 4 bulbs E27, 4 x 60 watt maximum, 110/220 volt. 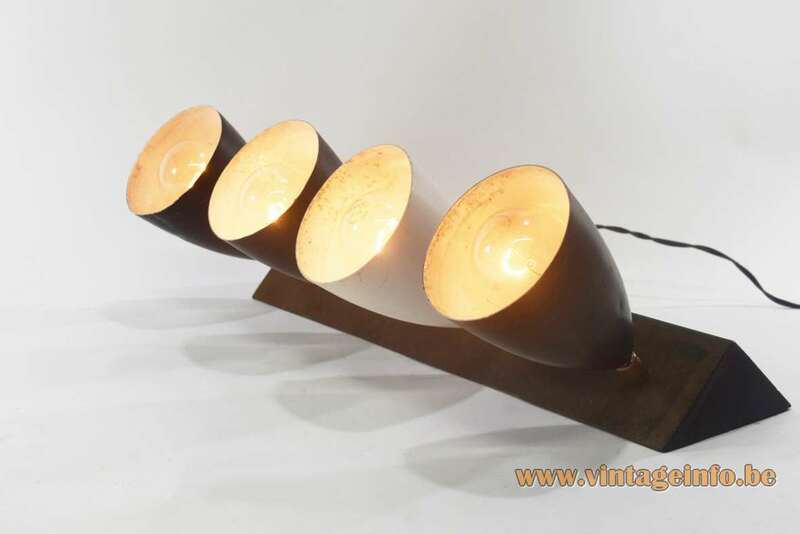 Any type of lamp with an E27 socket can be used. Not a specific one preferred. 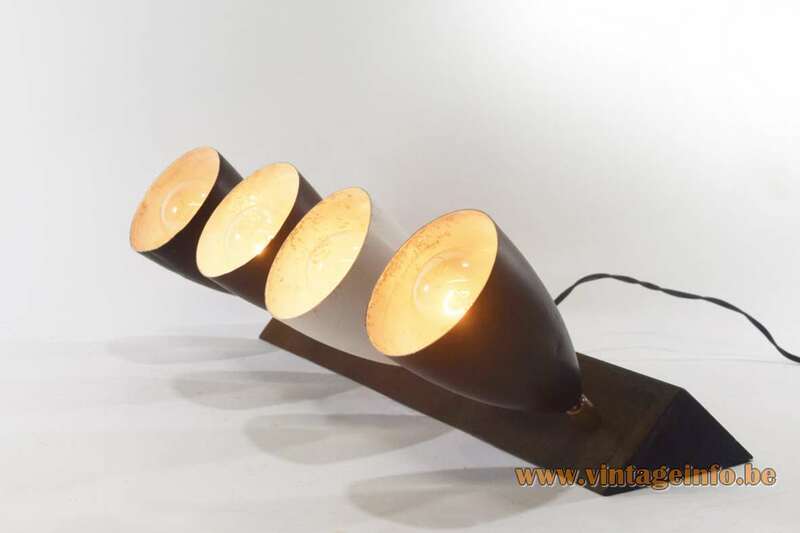 These shop window lamps are floor or table lamps, but they can also be used as wall lamps, recesses in the metal are provided at the rear. When these lamps were acquired a few years ago, the seller told me that they were handmade for a furniture and lighting design shop in Brussels in the 1950s. 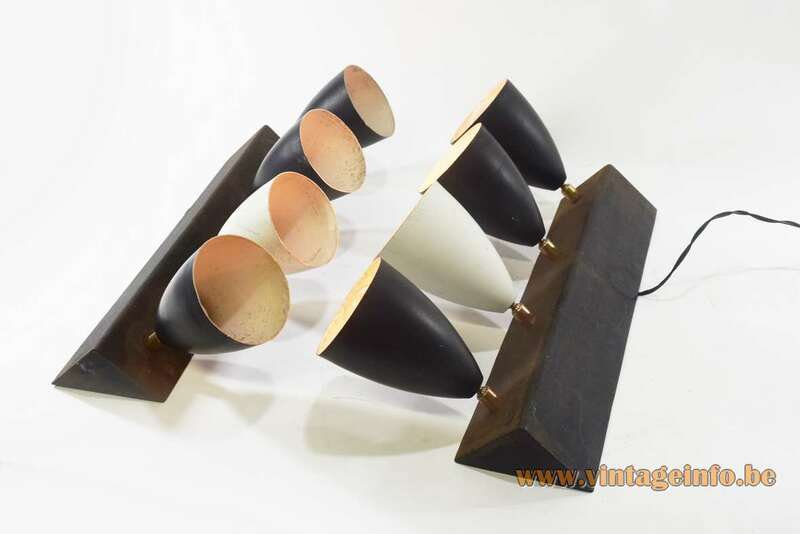 It was unknown who made these lamps, unfortunately, but in all probability it was a Belgian company or workshop.